Peter Quayle is the head of a British counter-espionage agency. This middle-aged man, very tall and broad but with a swiftness and grace that seemed surprising, is an expert in the hunting and stopping of enemy agents, something he has done several years prior to the start of the series. As might seem reasonable for a man responsible for sending men and women into danger, Quayle is friendly towards but seldom friendly with most of those close to him. It is said in the book, paraphrasing from another notable earlier, that Quayle have no real enemies but most of his friends didn't like him that much. If this bothered him, he never let on as he was too busy defending his country. Besides, he had once been an agent himself and is not asking anything of his people he was not ready to give himself. In his role as leader of the agency which is not named, Quayle has the assistance of several experience and able agents such as Guelvada, a Belgian who is given British citizenship after years of service and Kane, a laughing, hearty man who would gladly buy you a drink if he didn't have to shoot you. 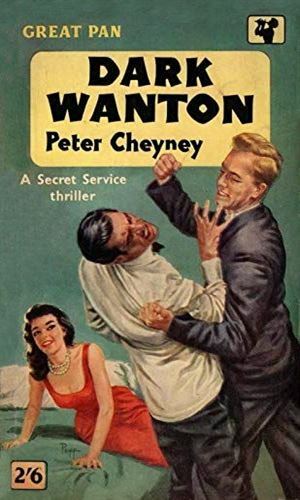 The series was mainly taking place during the Second World War and dealt, naturally, with spies trying to infiltrate the U.K. to learn secrets and perform sabotage. These enemy agents are all German. After the war, the first book deals with war criminals but after that, the scope started to change as the author branched the characters out further. 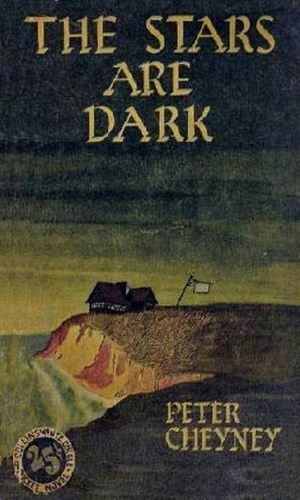 Quayle's adventures ended in 1951 with the death of the author. 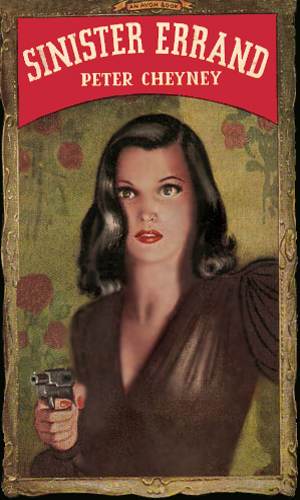 The book contains four stories in adventures of counterespionage with two of Quayles' operatives, Kane and Guelvada. The locations vary from the U.K. to Ireland and Lisbon, Portugal. When a British officer is caught for helping smuggle people into England, he is given a chance by Quayle to redeem himself. Quayle knew the man would be approached by the Germans to make even more use of him and Quayle wanted an inside man. More action in the streets of London as German infiltrators try to damage the British war effort and Quayle must use all of his resources to defend the island. 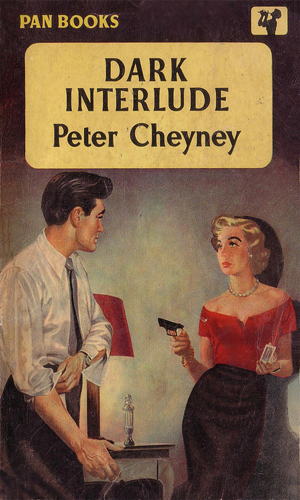 This book features several of Quayles agents working together. 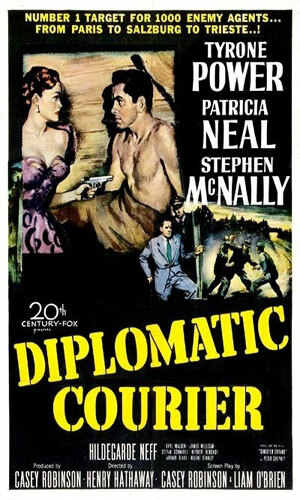 Standard counter-espionage fare fighting German saboteurs, featuring the introduction of a new agent working for Quayle, Michael Kells. In the movie version, the Germans were replaced with Russians. With the War just having ended, Quayle and his people are assisting the Maquis in hunting down and stomping out the little pockets of continued action where determined Germans refuse to surrender. 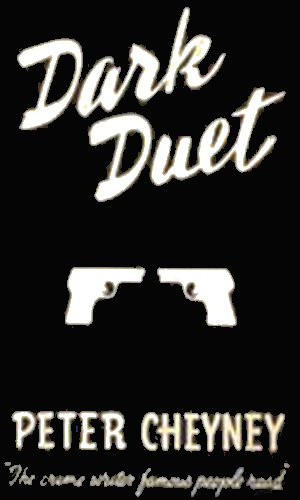 A compelling novel about an American, born in the Ozarks, for a while a gun-man in the gangs of Chicago, and finally a man fighting the Nazis in Norway then caught and sent to a concentration camp. It is after that the adventure with Quayle would begin. There exists two lists of war criminals, second tierred but wanted nevertheless. Both lists have gone missing and Quayle sends his people out to find who has taken them and for what purpose. 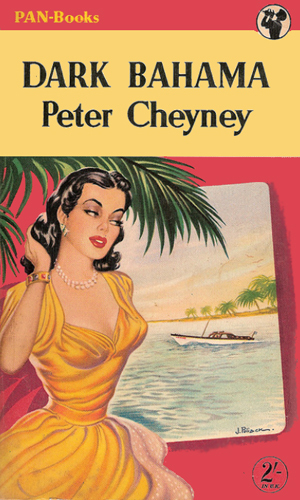 The death of a man from sharks while deep-sea fishing off Dark Bahama, one of the smaller islands in that chain, may have been murder and it looks like espionage played a part so Quayle sends Guelvada to investigate. Mike Kells, a courier for the Department of State, is coerced by the Military Police to get deeper into an assignment than he ever expected. Quayle would be an extremely hard man to like. In one book, he is awakened by a phone call and told that a mission has concluded successful but one of the two agents was killed. Quayle thanked the caller and then went back to sleep musing that it was a "shame about" the dead agent. That's cold. And that is how the series runs. Cold. You don't get a sense of any feeling in the characters. They just go through the standard motions doing standard things. There is a hollowness to the series that is unpleasant. That being said, as a record of attitudes and mores from that time, these are excellent reads. 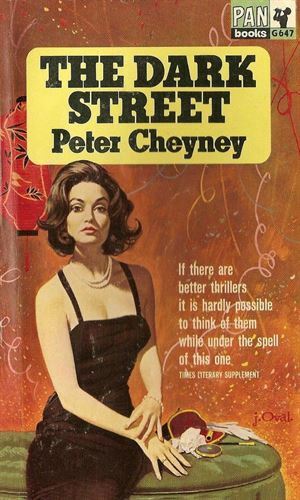 Quayle and Cheyney are the forerunners of Bond as much as Ambler, Buchan Rohmer, and Dornford Yates, and much of the mood of Casino Royale is taken from Cheyney's spy novels which in omnibus edition were introduced by none other than the great mystery critic Anthony Boucher. 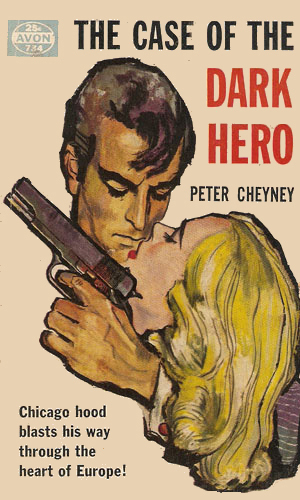 It's true there is a great deal of melodrama in Cheyney, but there are also some of the genre's best females and the wonderfully murderous Ernie Guelvada, Quayle's genial girl crazy hitman.